Kharkiven Gennady Zhuga turned a long-standing fascination with electronics into a business having brought to reality a fantastic idea. 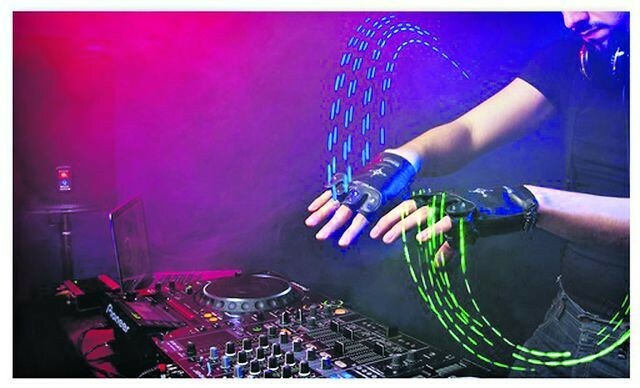 The scientist has created a glove that is able to handle electronic music recognizing the movements of the human hand. The researcher of Kharkiv National University of Radioelectronics (KNURE) was interested in radio electronics from school. He designed audio amplifiers, radio and color music. When Gennady was a student he has already participated in exhibitions of inventors and created with his companion device to measure the quality of gasoline. Initially the scientist wanted to create a system consisting of plenty of sensors on different parts of the body. But on the advice of his familiar DJ he decided to simplify the suit to one element – glove. 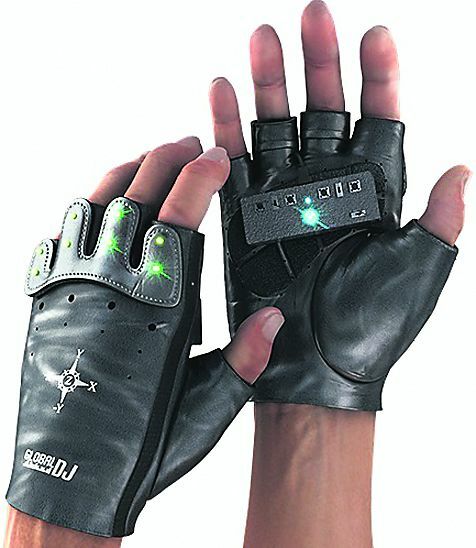 The inventor has equipped it with various sensors which read the hand movements and transmit them to the laptop. Also Gennady created complex program that converts the data into control signals according to the musical algorithms. As a result, raising and lowering a hand, fingers flexing, rotating and clenching a fist can increase the sound and frequency of rhythm and create other musical effects. In the meantime the DJ doesn’t press any buttons and doesn’t have any wires connected to a laptop. The first time Kharkiven presented a glove few years ago at the festival of electronic music at Cape Kazantip. Later he equipped the gloves with light emitting diodes (LED) allowing sound be accompanied by light effects. National and foreign musicians have already interested in miracle gloves. Among them – the Latin American DJ Gustavo Bravetti and popular Ukrainian artist ONUKA. Now Gennady Zhuga is promoting with friends his invention in the United States and the United Kingdom. He advises to young inventors to look for the like-minded people and not be afraid to experiment for a dream.